...Spaces are still left to join this fun and varied club! 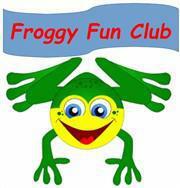 Frogwell’s Breakfast and After School club still has places left if you would like to sign up. It is a fun and caring environment with a variety of activities on offer, allowing your children to socialise and unwind after school. So what can you expect from your time at the club? Energetic indoor sports like dodgeball, football, netball and hockey to a more peaceful evening of art and crafts, board games or Playdoh. There is a football table, table tennis, air hockey table and Wii Console. For those of you who are competitive, you will enjoy the many tournaments we organise for these activities. Towards the end of the session we have quiet time where the children can chill out on our bean bags, listen to the music, read a book or play a board game, giving them time to relax before going home. It also allows time for home learning for those that wish to use the opportunity to complete it. For children that like to be in the kitchen, we offer an opportunity to bake or cook, helping them learn some key life skills. When the weather starts to get warmer we will be offering a chance for the children to play outside (netball, golf, football, tennis etc.) or just sit and relax under a tree. We have a nice assortment of healthy snacks which we offer every day with a drink upon arrival. For those children staying beyond 5pm, a substantial snack is provided. Some of the choices from our menu include various types of pasta (e.g. macaroni cheese or ravioli), freshly cooked tortilla wraps with chicken and salsa, homemade pizza and jacket potatoes. The price varies depending on how long your child is booked in for. If you book on a regular basis then you will qualify for a discount. Important: You may qualify for Government funded Childcare Vouchers, meaning it could be free or very little cost to you. Speak to the office for further details. K-MC: “It’s really fun, there’s loads of things to do. The snack and food is really nice”. J-LB: “I love it. I never want to go home”. So what are you waiting for? Come along and try it!